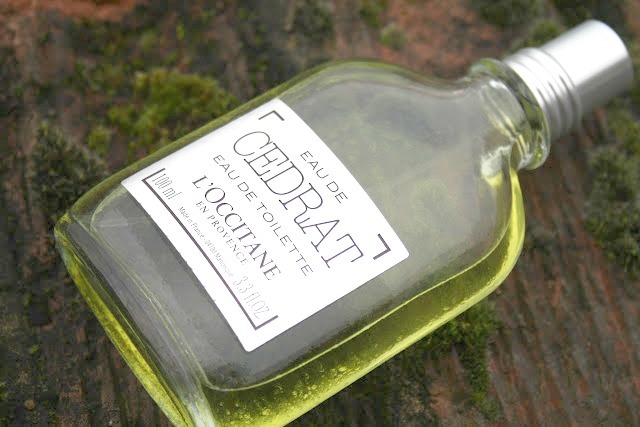 With spring just around the corner what better time to give my thoughts on Eau De Cedrat an EDT from L’Occitane. This came into my collection early last year just before it was launched on the market along with other associated goodies from the Cedrat range. At £42 for 100ml this is priced at around the same level as Eau De Cade, also from L’Occitane (well worth a look if you are into your masculine and woody fragrances). ‘With its striking appearance and irregular shape, the cedrat is an eminently masculine citrus fruit. Its skin thick and rough, it embodies the very rawness of nature – just like the man it is intended for. I can’t say I have ever managed to get my smelling tackle around a cedrat, but boy, if they have the power and kick that comes from this bottle I have been missing a trick. The first few sprays of this onto my freshly shaved face come with a little sting, but not as much as I had expected but wow, it’s strong. 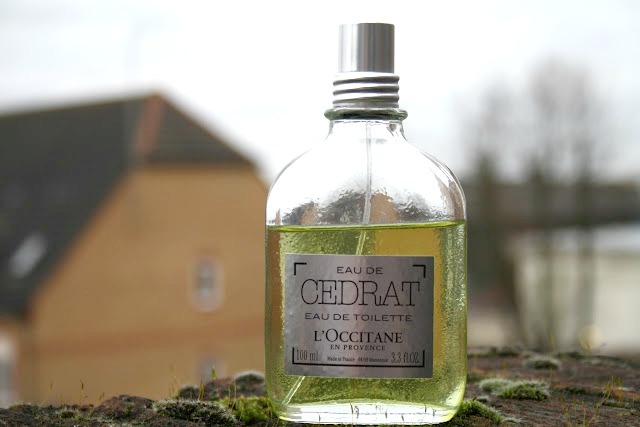 Had I not known about the top note of cedrat I would have sworn that this was a blend of concentrated lime and bergamot. It was so strong on first application I thought the three squirts from the bottle was way too much but actually it was about right as some ten minutes later the strong, fresh smell had faded so much I had to repeatedly sniff around to see if I could pick up the heart and dry down notes. This had blended so well onto my skin that I failed to detect anything but a light citrus and had to resort to spraying more on my wrists. While I could for a short period pick up hints of the nutmeg and a touch of spice from the ginger this faded again within ten minutes. Even after a liberal amount to my wrists it was a rather faded citrus with a twinge of nutmeg. Within thirty minutes I was struggling to smell anything again and feeling rather dejected I asked my other half if I had gone mad. She of course looked me up and down and said it happened years ago (thanks love) and after finally stopping laughing at her own (she says hilarious) joke gave an assured opinion that actually yes, she could smell me, and it was good. Testing the theory again after five, eight and ten hours after first applying this I got the same reaction, although much more muted after ten. It had faded to nearly unnoticeable. Launched in February 2015 this is welcome new fragrance to the market in my opinion. It has the lightness and fresh zing that comes with fragrances like CK One but dries down incredibly quick to deliver a masculine fragrance that retains it’s citrus vibe. Perfect for daywear this is an affordable fragrance that should make it’s way into the collection of any discerning gent. Personally I would like to see it less strong on first application and with a bit more heart to make it more noticeable say eight hours down the line but you can’t have everything. My grumpy old grumblings aside this is a cracker. This sounds interesting, a great gift idea for Valentine's Day too! My brother uses CKone and has for years so this is a great read. This may be his next birthday/christmas present. Not heard of this one, but then hubby isn't really into fragrance! I prefer a woody fragrance on a man, citrus can be a bit feminine at times. I also think the label could be better, doesn't look very appealing does it? It is rather minimalist! Take a peek at Eau de Cade by L'Occitane, that may be a better fit as it is much deeper and woodier than this. 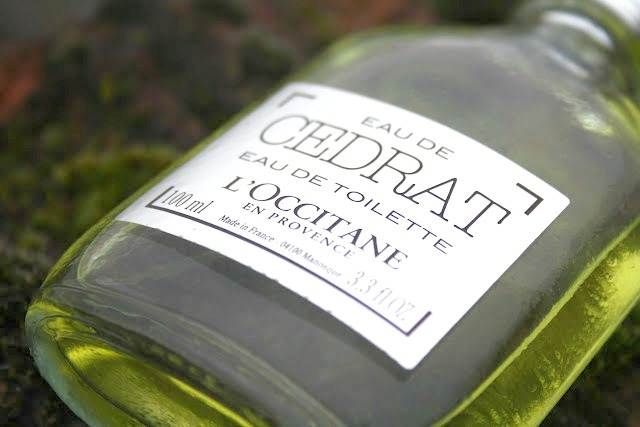 Cedrat though does dry down to have a bit of an earthy and woody scent, it's just the initial blast that has the citrus. I love this fragrance by L'Occitane. I bought my OH a gift set of it for Christmas and I love it when he wears it. The face wash is great too. I love L'Occitane and might just have to test this out the next time I'm in our local store. Thanks for the recommendation. I was in the shop with my Dad yesterday, so good! Sounds like a nice scent, and I always struggle to smell perfumes on myself after a few minutes, I think we just get used to it! This sounds lovely, I love L’Occitan products. This will probably have too much citrus for someone into woody fragrances Charly, but you should have a look at Eau de Cade by L'Occitane. That is a really deep, warm and woody fragrance. L’Occitane are a favourite brand of mine, maybe I should introduce hubby to them. It really is lovely, and seems to last for ages. This does sound really nice, although it's a shame the scent doesn't last as long as you'd hoped! Ha ha.. kudos to the beautyqueen!I'd probably get this for my guy if I visit the store sometime.